The software directly imports the data from Lotus Domino to Office 365. To do this, Live Domino Server environment and credentials are required. 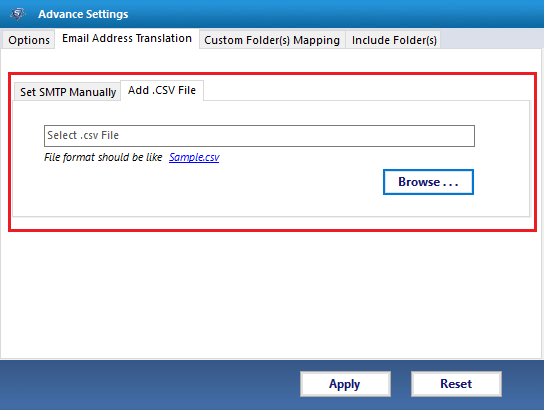 It allows the mailbox mapping to transfer or copy the data of mailbox and for this, Office 365 account details are necessary. 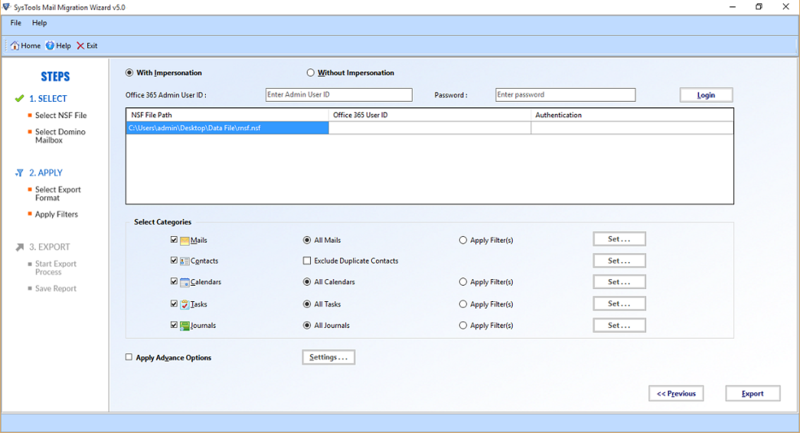 Users can import or upload multiple NSF files into Office 365 account. Lotus Notes 9, 8.5, 8.0, 7.0, 6.5 versions are required to perform such migration. Software only demands to enter your Office 365 credentials and Domino server installation is not needed for migration. 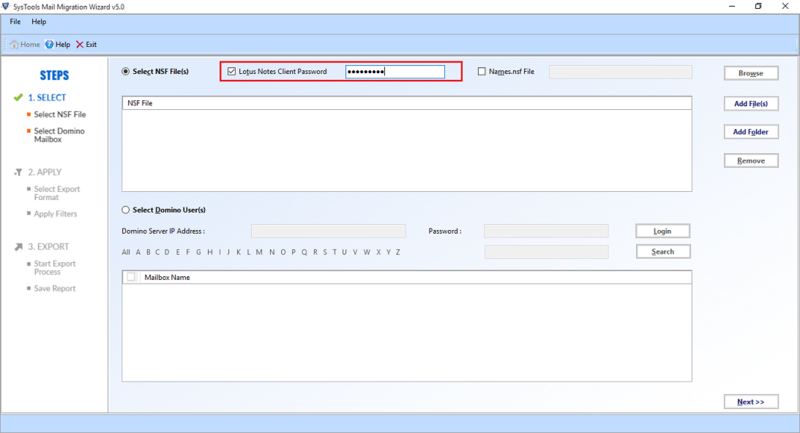 Execute data migration from Domino server to Exchange account. Users can map the accounts between two servers and the data will directly save into the folders of mailbox. Domino server environment is obligatory for Notes to Exchange Server migration. 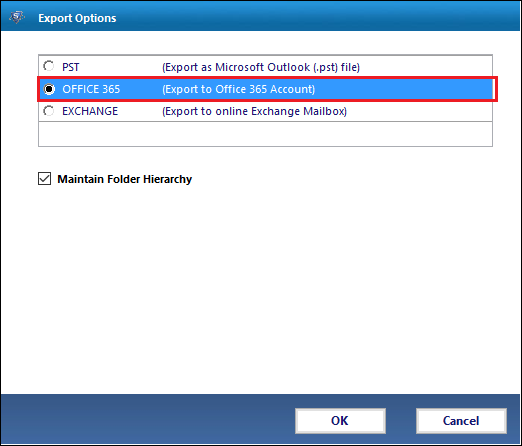 If there are multiple Office 365 accounts in a single domain then, data can be transferred from Lotus Notes to Exchange Online. Thus, users can select some desired mailboxes from single NSF file or from Domino. This option is linked with business addition of tool. The licensed version of IBM Lotus Notes to Office 365 Exporter tool is capable to upload the mailbox data into multiple Office 365 tenants. Users can switch between various mailboxes of any Domino Server or Lotus Notes under different Office 365 domains. Exclusion of various unimportant Lotus Notes folders is possible via this tool. The NSF to O365 migration tool permits users to eliminate the customized folders that are created by users. It is also possible to prohibit deleted data items and sent items from conversion. Every NSF file has a linked internet header that consist some technical information about the email. Every internet header has the data of sender, information of application used to compose it, email server it passes through, and IP address. It keeps the internet headers. By using this feature you can easily filter out the emails by specifying the date of range. This will help you to sort emails within the required date range which is specified by the user. Those mails will get excluded that are mentioned before & after the date range. 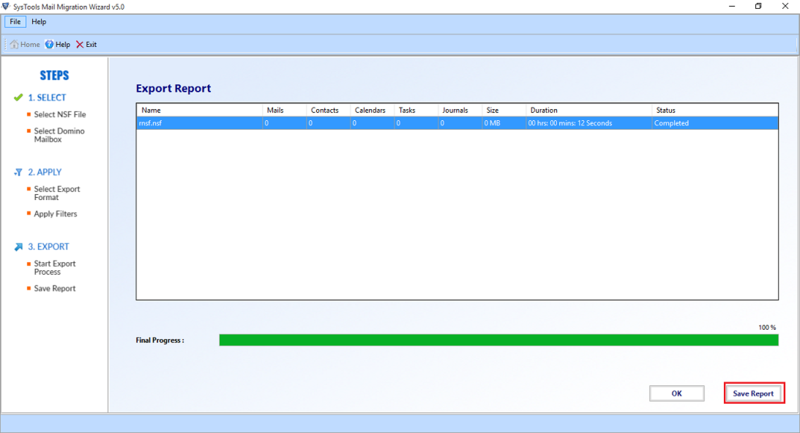 Tool saves the IBM Notes to Office 365 complete data-migration report. This statement consist of all the information about operation. Mailbox name, authentication status, total no. of emails, tasks, calendars, and speed of conversion get saved in this report. 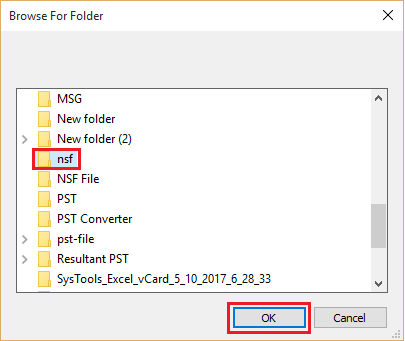 Click on Browse button and add NSF file or folder. After selecting file/folder, click on Next button. Now, click on With Impersonation option. Note: You also can select Without impersonation option if you do not need to access all user account once. 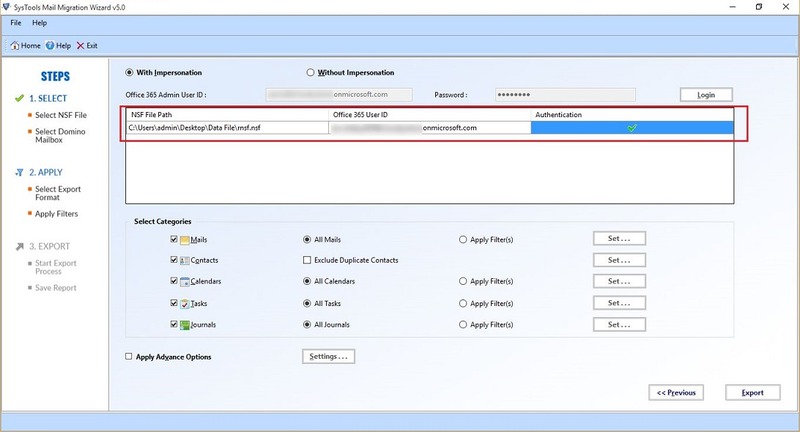 Provide the Office 365 mailboxes and it will validated at the similar time. When file will validated, select the data categories to begin export process. Now, choose the Advance Settings option for successful data migration. 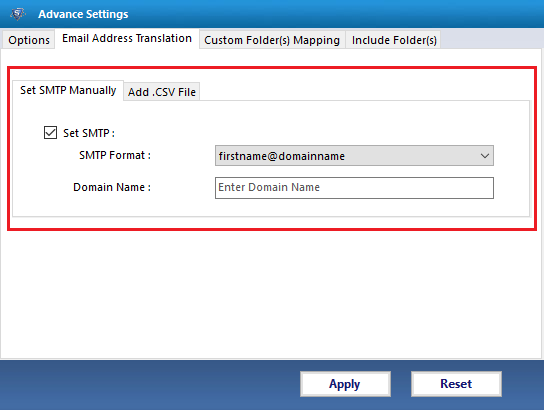 For converting the canonical name that you defined in Lotus Notes, into the Office 365 SMTP format, select the required naming convention. Enter the name of domain for SMTP translation respectively to canonical name. Does Lotus Notes to Office 365 Converter can move any sized file without any restrictions? Yes, you can migrate any sized with the help of this utility without any file size limitations. Can I migrate multiple NSF files into Office 365 by this software? Yes, this application can move the NSF files in bulk very conveniently even without any data loss. 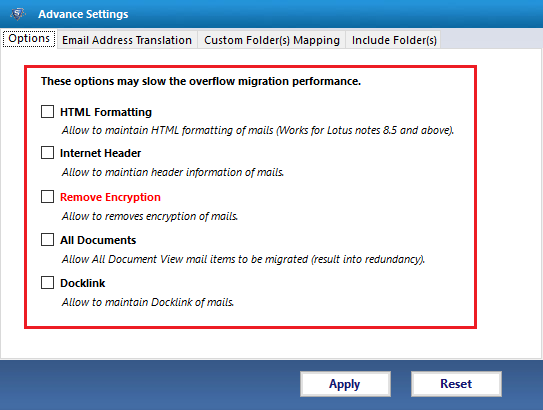 Why should I use only Lotus Notes to Office 365 Migrator tool? No, the tool is designed only for Windows operating system and it cannot be operate in Mac machines. I am having 3 Office 365 domains and I have to move data in both domains. Can I do this by this tool? Yes, for migrating the mailboxes into different Office 365domains from a single Lotus Notes/ Domino serve can be done by its licensed version. 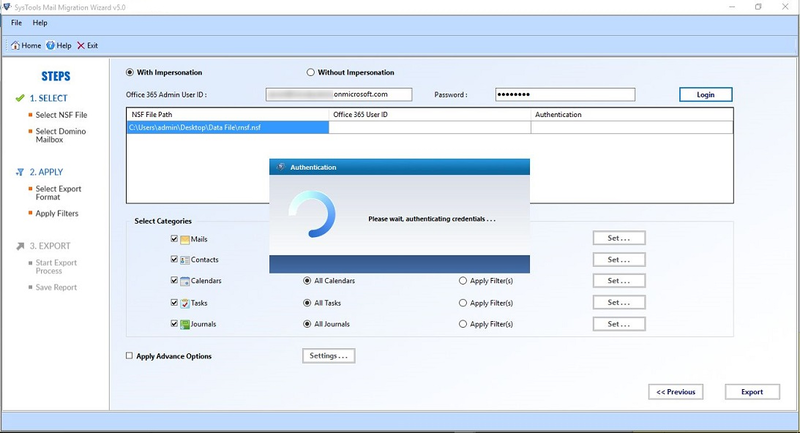 You only needs to your credentials for each Office 365 user. Will this tool support to migrate data from Lotus Notes 9.0 to Office 365? Yes, this software is compatible with all versions of Lotus Notes and you can migrate the data from Lotus Notes 9.0 to Office 365. Does this tool allow the data mapping while moving data from Lotus Notes to Office 365? 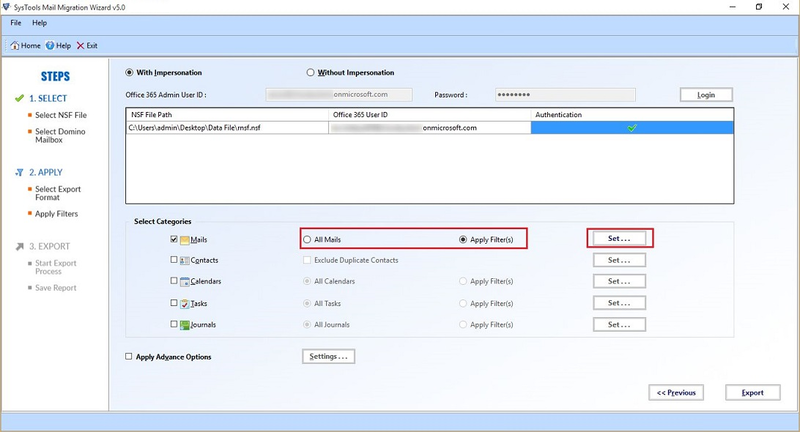 Yes, users can map mailboxes and NSF files with the respective Office 365 user accounts. How can I move Domino Mailboxes, do I need to shutdown Domino Server? No, you can perform migration without shutting down server. Domino Server must be in functioning mode while moving data.